For 6 years in a row, Presenter has won the Worship Leader Magazine Best of the Best award. It's tailor-made for users on a PC that use PowerPoint. Instead of re-inventing another presentation software, we decided to take the best presentation software and build a custom plugin that adds all the worship features you like into a platform you already know. 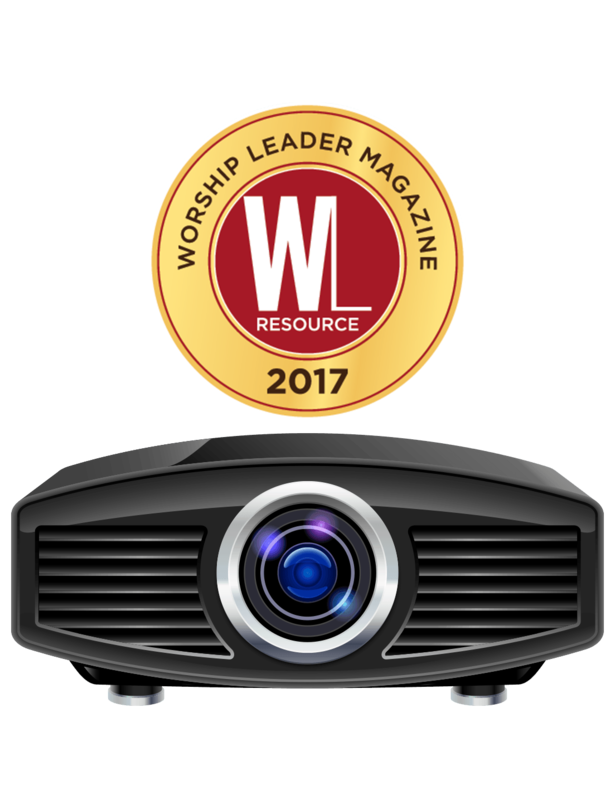 With Sharefaith Presenter, you can access Sharefaith's massive online worship media library with the click of a button, right from within PowerPoint. Now, you can save some steps and time by searching and downloading new PowerPoint templates, videos, backgrounds, and more without ever leaving PowerPoint. Create your own custom church countdown timer. Use Presenter to easily pick an image, worship background or worship motion video, then simply add your own countdown clock by selecting your desired time, font and color. Now place your countdown timer anywhere on your slide and you are ready to go! This makes changes on the fly so much easier and you'll have a new countdown timer as often as you like! 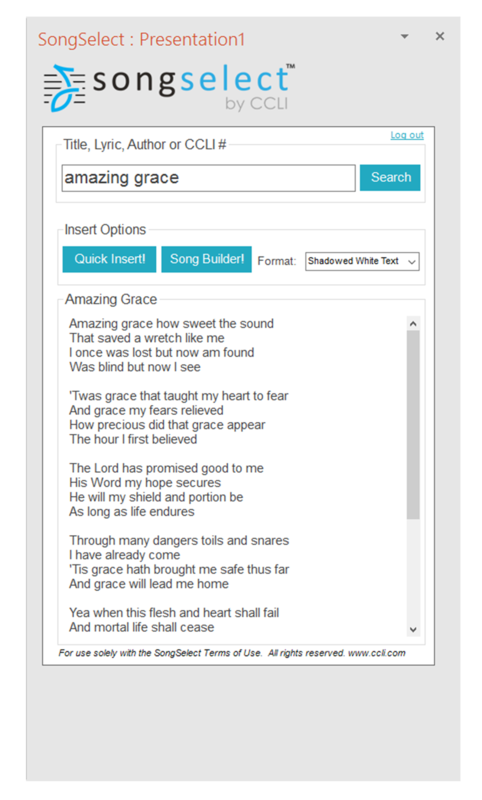 Sharefaith partnered with CCLI SongSelect in bringing you the largest worship song database. We've redesigned the database to feature custom functionality such as drag and drop lyrics, easy song building, and chord sheets. To use the lyric database you HAVE to own a SongSelect account. CCLI SongSelect is not part of Sharefaith and a separate fee. If your church displays lyrics during worship and you don't have a CCLi license, you may be illegally broadcasting lyrics. When you are ready to use the database, simply input your CCLI SongSelect license and you are good to go! CUSTOM BUILT FOR POWERPOINT AND PC USERS. Sharefaith Presenter is not for every church. It's custom built for the small-to-medium size church that works on a PC, has multiple campuses, and/or still believes that PowerPoint is of great use within the church. We redeemed PowerPoint's lack of worship capabilities by creating our own unique plugin that transforms PowerPoint into a full-fledged church presentation software. It's fast, easy and perfectly suited for a beautiful worship service. Sharefaith Presenter is included in our Complete Membership. For the last 6 years, Sharefaith Presenter has won the Worship Leader Magazine Best of the Best award. It’s the fastest and easiest way to show video or slides in church. Hi! I'm here to help if you have any questions about Sharefaith's Media Presenter.